The announcement of Major League Baseball’s All-Star game rosters, lets fans get a sneak preview of what to expect in baseball’s Midsummer Classic, but it also starts plenty of debate for players that were snubbed from the teams. Summer has fans rushing to vote for their favorite players numerous times a day to make an All-Star team. This is also a time that makes people cringe at fans’ selections and also coaches as well. This year’s rosters are reasonable for the most part, but like every year, there were plenty of snubs and questions marks. When you play the same position as Miguel Cabrera, you’re not going to get voted in. Well, you shouldn’t either when Cabrera is playing on another planet. Still, Longoria is having a great year compared to Cabrera’s monster year. 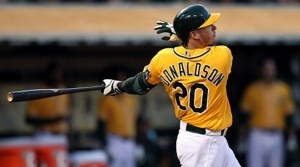 He has a .292/.370/.531 slash line with 17 home runs and plays a fine third base, right behind Manny Machado. How teammate Ben Zobrist made the All-Star team over Longoria will never make sense. Howie Kendrick finds himself in a tough spot as an AL second baseman. Robinson Cano, Dustin Pedroia and Jason Kipnis all deserve to be on the All-Star team, but so does Kendrick. The Angels have been a big disappointment, but Kendrick has not. He has a .315/.358/.477 slash line with 11 home runs. Kendrick deserves to part of a crowded second base group, while Zobrist should be dropped. Where is the love for the Oakland A’s? While the MLB tries to be “Mr. Tough Guy” on the steroids issue, Bartolo Colon has been praised in his age 40 season, the year after he was suspended for PED use, while three of his teammates — Josh Donaldson, Jed Lowrie and Grant Balfour — have had All-Star worthy seasons. Despite what he did last year, Colon deserves to be an All-Star, but so do three of his teammates. One word: BORING! C’mon seriously baseball? The players in the final vote consist of: Joaquin Benoit, Steve Delabar, David Robertson, Tanner Scheppers and Koji Uehara. Will anyone even vote? Not only Donaldson and Longoria not make the team, they didn’t even make the final vote. At least, the NL Adrian Gonzalez, Ian Desmond, Freddie Freeman and Hunter Pence to try to get the second most votes behind Yasiel Puig. Yes, the Cuban sensation that has taken baseball by storm in just over a month of baseball, is the biggest snub in the NL and all of baseball. Puig wasn’t going to be able to make the fan vote and with Bruce Bochy as the manager, it should come as no surprise that Puig did not make the team. Bochy has been saying for weeks that he would favor a player that has been around loner than Puig, but really, who cares about seniority? 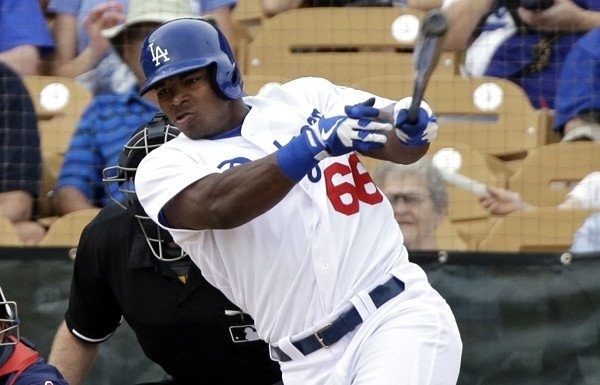 The fans want the best and most entertaining players and Puig may be both in baseball right now. When you are having Joe DiMaggio type numbers and have completely changed your team, you deserve to be in a game made for fans. Baseball has seen some fine young arms this season. The likes of Matt Harvey, Patrick Corbin and Jose Fernandez all made the NL All-Star team, but Miller has been just as deserving. Miller may be the front-runner for NL Rookie of the Year, but didn’t make the team or final vote. He is 9-6 with a 2.80 ERA and has a phenomenal 107-24 strikeouts to walk ratio. On paper, the Washington Nationals were supposed to be primed for a World Series ring. Instead, they have been fighting for contention and Washington’s best offensive player has been Ian Desmond. The shortstop has a .284/.326/.506 slash line with 15 home runs and 10 stolen bases. While Evereth Cabrera has been a bright spot for the San Diego Padres, Desmond’s overall game is more All-Star worthy. Puig will win the final vote contest for the NL, don’t you worry about that. Agreed. Just should not have came down to the final vote.